The base of your home is what helps to keep it supported, level, and secure. A problem here could eventually lead to serious issues for the structural integrity of your entire home. Regardless of how "handy" you consider yourself with DIY projects, taking care of structural issues is something that is better left to the professionals with years of experience in the business. We can help you to locate a foundation repair contractor in your town who will be able to come to your home for a consultation that fits in with your busy schedule. He will be able to diagnose the problem and then come up with an effective plan of action for getting it taken care of so that you never again have to deal with it. 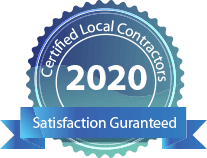 They will work hard to guarantee your 100% satisfaction with the job. On our site, you are able to enter your ZIP code to find someone who does work in your community. We guarantee that all of our contractors have the skills, experience, knowledge, and tools needed to diagnose structural problems and get them taken care of quickly and permanently. These professionals will be able to provide you with a FREE estimate and inspection of your foundation, and they will then walk you through the required repair work.